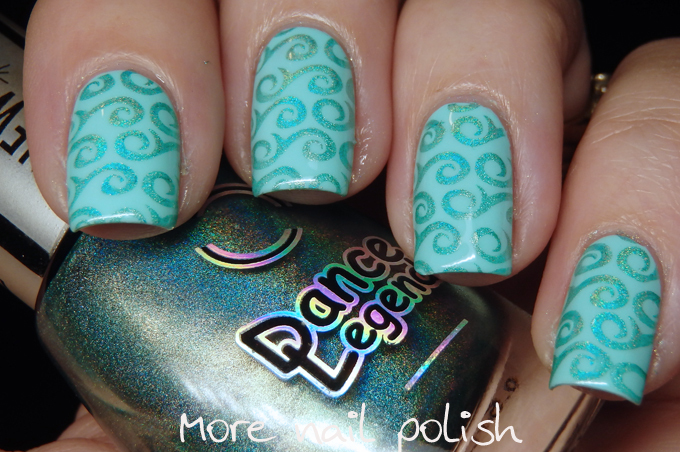 This week's prompt for the 52 week challenge is Mint green polish and my personal technique or style was Swirls. I was a bit uninspired this week, as mint green polish isn't a huge favourite for me, plus I felt a bit crook for a few days, so I ended up with just simple stamped mani. 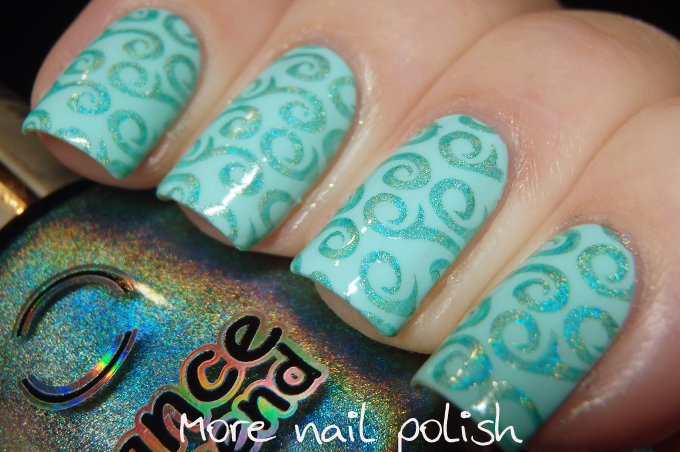 I stamped with Dance Legend Android using DRK Seasons plate. For uninspired it turned out beautiful! Love the two shades together.